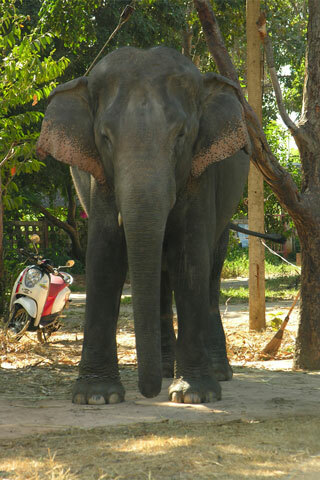 The people of Surin province have been famous for centuries thanks to their adeptness at capturing and training elephants. Browse places to stay in Surin on Booking.com. Book Now - Pay Only When You Stay. Since 1960, they have celebrated their special relationship with elephants every year in November, when elephants and mahouts show off their tricks at the annual elephant festival. Although the festival officially lasts for 10 days, the main events are held during the first weekend at See Na Rong provincial stadium in the south of town. For two days, you can watch elephants run races, play football and perform all sorts of tricks. The weekend culminates with an elaborate “battle” where you can get a feel for what warfare was like when elephants were used rather than tanks. It’s quite the thrilling rendition that involves not only elephants but also hundreds of foot “soldiers” who pretend to fight it out like in the old days. Tickets range from 40 baht for standing room up to 500 baht for VIP seats, which includes English explanations of what’s happening. You can buy tickets at the stadium or ask your hotel for help arranging them in advance. Note that some animal rights activists feel that forcing elephants to perform shows constitutes inhumane treatment. At the very least, don’t support the handlers who pull their elephants around the city and charge tourists 20 baht to feed them.